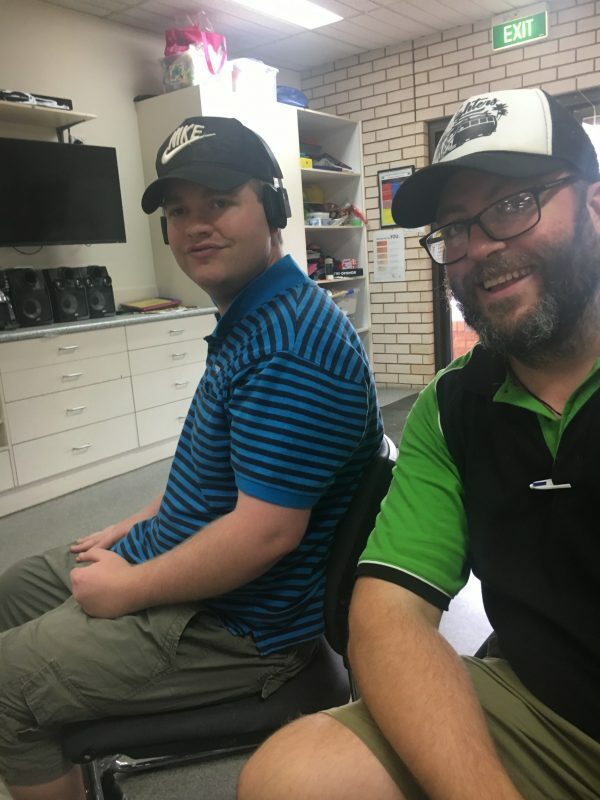 DOUG Pout has only been at Currajong Disability Services a short amount of time and already he is making a huge difference in the lives of many. Aside from working as a support worker for CDS he is also about to embark on a new mission in a bid to raise awareness for Autism. “My partner Courtney and I thought we could make a difference so we registered as Dougney for the Autism Walk,” said Doug. “We also have Matt Medlyn and Neil Hamilton on-board for this exciting undertaking and we are hoping to get more people involved as well. “Then we can enter a CDS team for the walk,” he said. Pout is no stranger to supporting good causes and while his humility means he keeps most of his good deeds to himself, his efforts haven’t gone unnoticed by staff and clients at CDS with Matt Medlyn jumping on board to support the walk this week. “It will be great to be involved,” said Matt. “We have a number of clients here at CDS who have autism and with Austism Awareness Month on the horizon this is an important mission. “It was a no-brainer to get involved”. For Doug though, it’s about making positive contributions and doing what’s right. “So far a total of $665,000 out of a possible $1.4million has been raised,” he said. “We have had 15,000 supporters across the board. “The support has been phenomenal”. Make every step count and help create a world where no-one on the autism spectrum is left behind. Walk for autism is a free virtual walking event, which means you can do it at your own pace, in your own time. Challenge yourself to walk 10,000 steps a day for 8 days, from Sunday 31 March – Sunday 7 April, while raising much-needed funds to support people on the autism spectrum. Go solo, or get your friends, family and workmates on board and step it out together in a team. Register and receive your Walk for autism Welcome Pack, including a t-shirt and 3D pedometer, to stand out and make tracking your steps easier. If you prefer, you can connect your own digital fitness device directly to your fundraising page and automatically record your activity. By taking part in Walk for autism, you will help provide the best opportunities for people on the autism spectrum to participate, engage and thrive in the world around them. Have fun, get fit and change lives one step at a time! Trying to cope with the everyday can cause stress and anxiety and prevent people on the autism spectrum from fully participating in the world around them – leading to feelings of isolation and exclusion. Differences in social communication, strong interests and repetitive behaviours mean interacting with others can often be unpredictable and confusing. Being over-or under-sensitive to sounds, touch, tastes, smells or light can cause sensory overload and make physical and social situations challenging. By taking part in Walk for autism, you will help break down the barriers that keep people excluded and provide the best opportunities for people on the autism spectrum to engage, participate and thrive in the world around them. But there is more you can do! It’s up to all of us to adapt our behaviour, perspectives and environments to be inclusive of all people. Some of the best opportunities for people on the autism spectrum are provided when the people surrounding them make some adjustments. We developed, in partnership with people on the autism spectrum, this handy Tips for Autism-friendly and Inclusive Interactions sheet for you to use and share your everyday life to help create a better, fairer world. Together, we can create a more inclusive Australia – one step at a time.